A backwashing filter is a large, tank-type filter that cleans and renews itself via backwashing. That is, by reversing the flow of water so that it enters from the bottom of the filter bed, lifts and rinses that bed, and then exits the filter tank through the top. An automatic backwashing filter system. These self-cleaning filters are and ideal solution for a wide range of filtering applications, as they provide the most productive solution and are all but maintenance-free. Backwashing filters can accommodate flow rates from less than a hundred gallons per minute (GPM) to several thousand GPM. 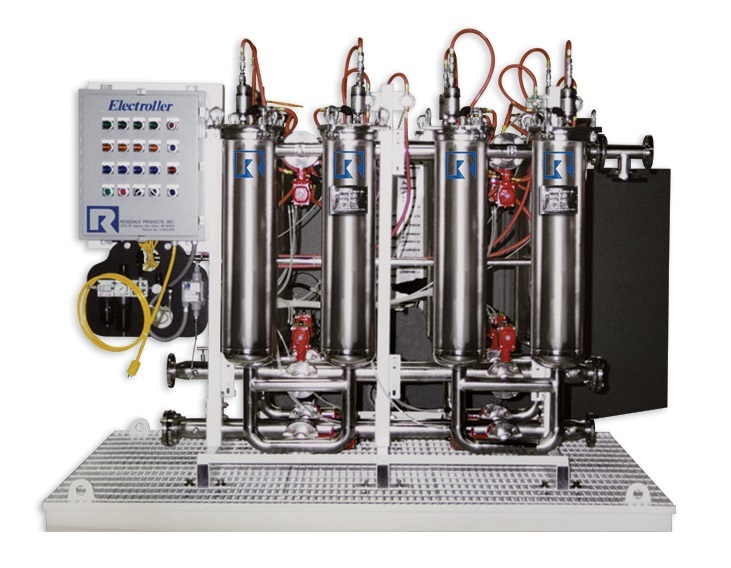 Rosedale Products, Inc. designs and manufactures both automatic and manual backwashing filters. Their backwashing filters feature high flow rates, high pressure ratings, and durable construction to withstand even the toughest industrial environments.